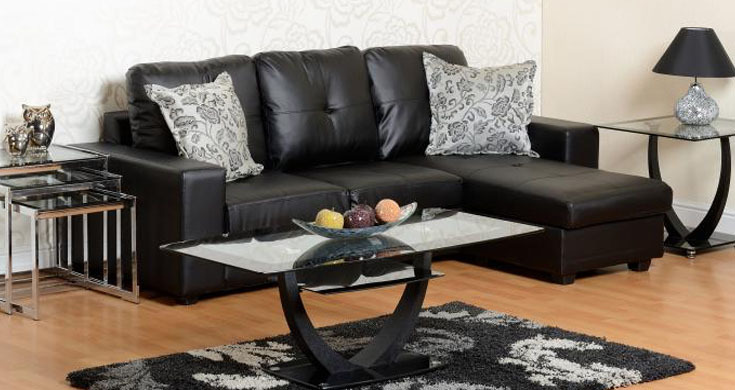 The Bailey Faux leather corner sofa with its stunning looks and clean lines is unbelievably versatile. Featuring a reversible, space saving corner chaise that can transform the sofa from left hand facing to right hand facing to suit your requirements. Modern, yet contemporary in design, the Bailey corner sofa is crafted out of Faux leather, but don’t let that fool you. Wait till you touch the gorgeously soft faux leather, no one will ever know!